Posted on 29 January 2014. The coming of the new year has traditionally been about new beginnings. Making that New Year’s resolution on how we intend to better ourselves this year, while reflecting on the year passed, and what about ourselves that we wished would have done differently. So if 2014 is the year of possibilities, shouldn’t it always count for a little more? 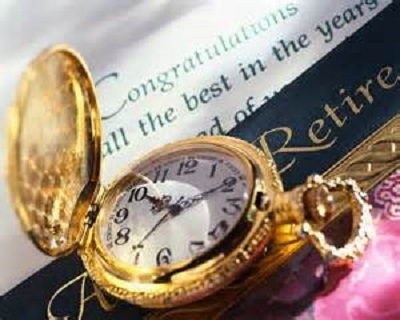 Make 2014 the year of saving for retirement so that when it comes time for you to stop working, it is possible for you to actually retire and enjoy your later years. Saving for retirement should not be treated as a chore. We tend to budget our monthly income and expenses so we can save a little and yet still enjoy our lives and lifestyle. According to financial experts the perfect age to start planning for retirement is as soon as you start working. That’s right, it is never too soon to start planning for your retirement and therefore you should start saving as soon as you can. The importance of saving your money for the long term you, is just as important as earning the paycheck. The importance of saving money can go a long way in a relatively short time. If you start putting money aside, gives you a better chance at buying up penny stocks, traditional stocks and bonds, or even IRA’s. If you are looking to invest down the line in your life, but don’t have the funds to buy them now; the importance of saving money becomes the basis of understanding of achieving what will help set you up for a financially stable future, one where you can retire from the labor of the day to day, and move into an easier lifestyle. The saving money mentality is not a trait that has to be forced upon you in order to be able to start saving money for your retirement. In fact, just by allocating a small percentage of your net paycheck every pay period is an easy way to start a retirement savings fund; should you want to just compound your tangible cash and not put it into an IRA, 401K, or pension program. The saving money mentality is less of a mentality and more of a way of life. There is an understanding among those who are financially set now, and those who are aiming to be financially well off and living within their means, when it comes time to retire. Look at saving money as your fund to treating yourself to a retirement that can be well within your grasp, and not be something of a myth because you were part of the unlucky generation to inherit a troubling economy. By putting money aside every pay period, over time, you will see that your are compounding your money over a period of time, and slowly building up a mass amount of money that can be added to your retirement fund. investing in your future when understanding and implementing the knowledge gained when saving while you are earning a primary income. Saving money for your retirement is exactly that, investing in your retirement. The best chance you have at retiring from the workforce, will come from the work you put in while you are in your youth. As we have discussed in previous articles the benefits of investing your money for long term dividends and the opportunity to sell it off after years of maturing and careful buying and selling, will help fund your retirement. Whether it be penny stocks, traditional stocks, or even bonds, are all great steps to understanding how to invest in your retirement while you have the financial ability to do so. The ability to invest in your retirement is closer than you think. If you are seasoned in the job market and investing, or even a novice investor and brand new in the job market, the importance placed on understanding that you should be putting some money aside every paycheck received can give you a leg up on your goal to retire in your later years. 2014 is the year of possibilities, and why not take advantage of the knowledge being presented to you, in an effort to make you life slightly easier. Knowing how to save your money is just as important as taking the next step and implementing the saving mentality in your everyday life. After that, knowing how to invest your money correctly will be the icing on the cake of your retirement goals. By investing your saved money into stocks and bonds, you may be able to retire sooner than you would think, simply by letting your money work for you for once, and investing in companies or products that have the opportunity to make money for you, not working the rest of your days for the same outcome, by making your 2014, the year of retirement savings.